King Infinetto is Finney’s ebullient but ever-watchful father and one of the last of the great Star Breachers. Even his name implies kingliness and royalty; a wise, generous and majestic ruler. 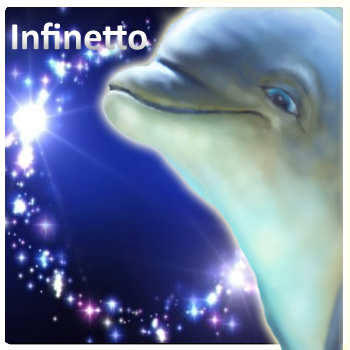 Infinetto had hoped to lead his herd to a safe new shore, the mythical Fintopia of ancient cetacean lore (which is actually a marine sanctuary built by the humans) but becomes entrapped in a fish net. He escapes from a release hatch but is lost out at sea. For years, he roams the open ocean in search of his long lost pod and beloved son Finney. Ultimately, he is reunited with Finney and prepares him for his destined role as the future King of the Seas.